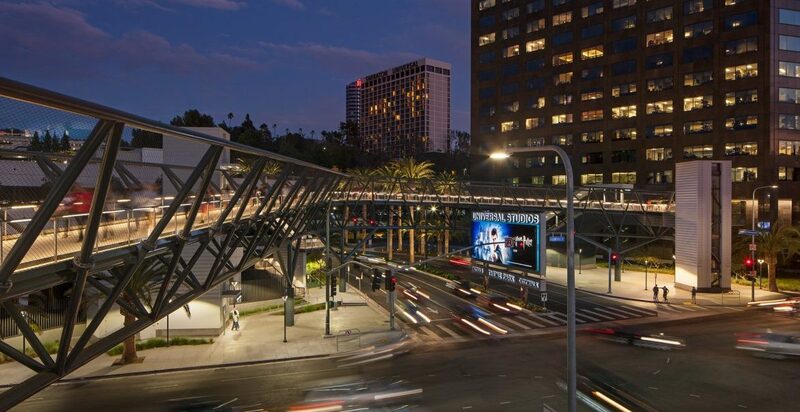 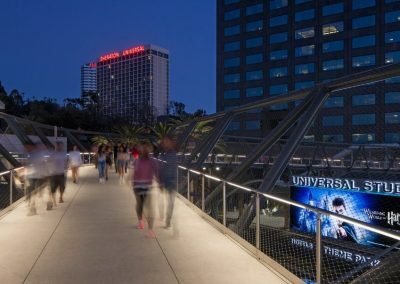 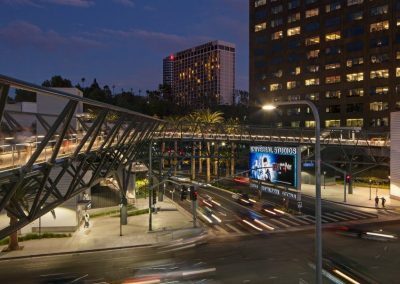 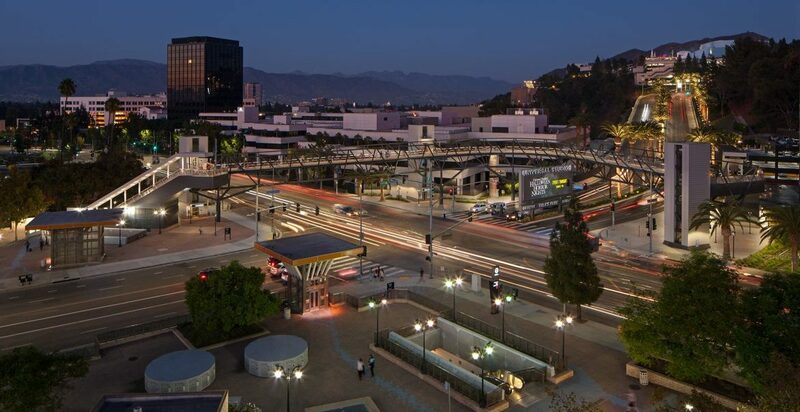 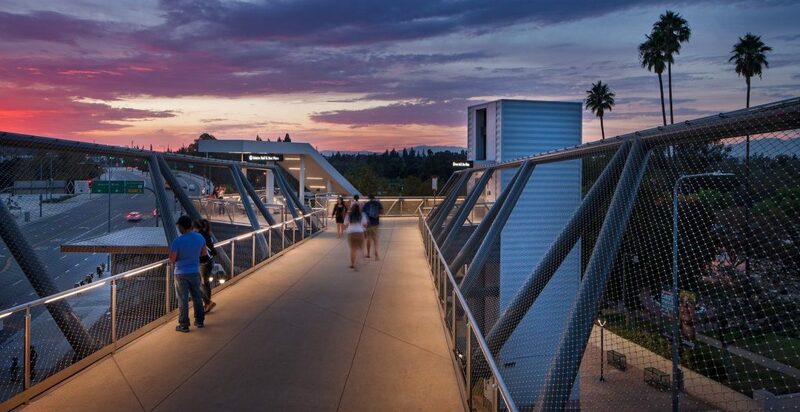 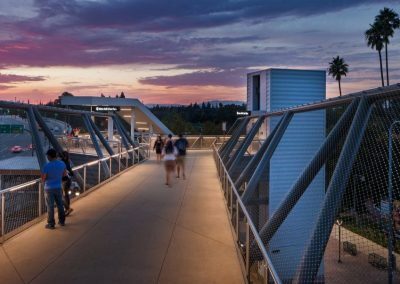 Gruen Associates was the Architect and Landscape Architect for Metro’s new pedestrian bridge at the intersection of Lankershim Boulevard and Universal Hollywood Drive. 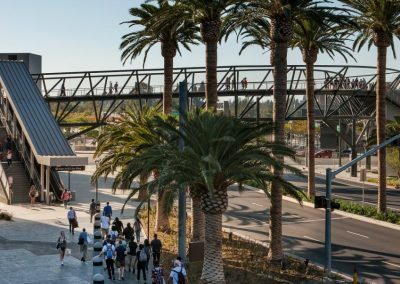 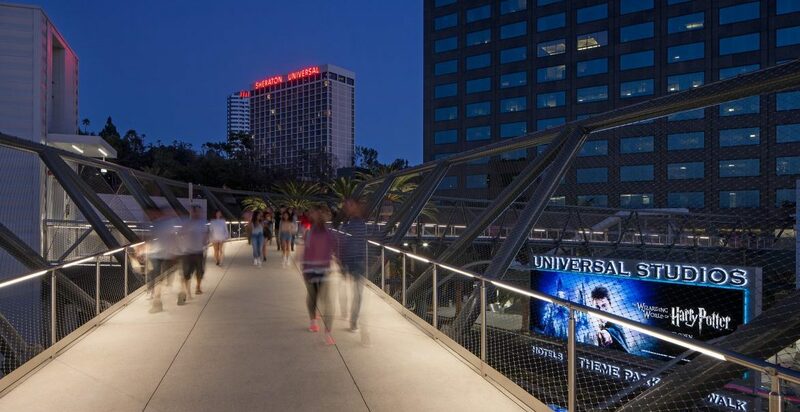 It connects the Red Line Station to the Universal Studios/Universal City Walk popular theme park destination, alleviating the existing congested, at-grade crossings with an attractive, safer and more efficient path-of-travel. 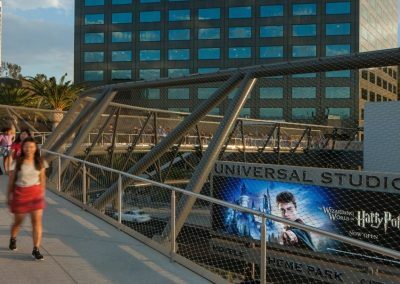 Approximately 400 linear feet, the ‘L’-shaped bridge traverses east-west, spanning over Lankershim, then curves or turns south as it crosses over the main roadway of Universal Hollywood Drive. 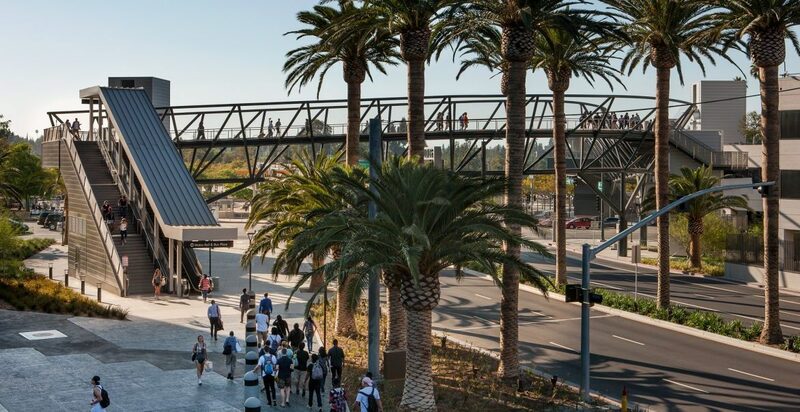 Vertical transportation/circulation elements include elevators, escalators and stairs at each entry plaza (three separate locations) to provide access to the bridge walkway. 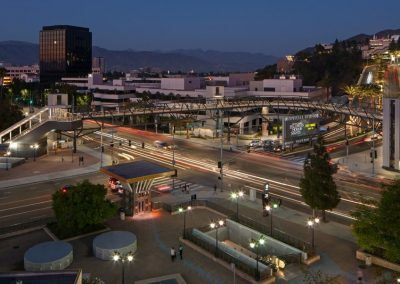 A dedicated right-turn lane is provided at the intersection with associated landscape, electrical and traffic components. 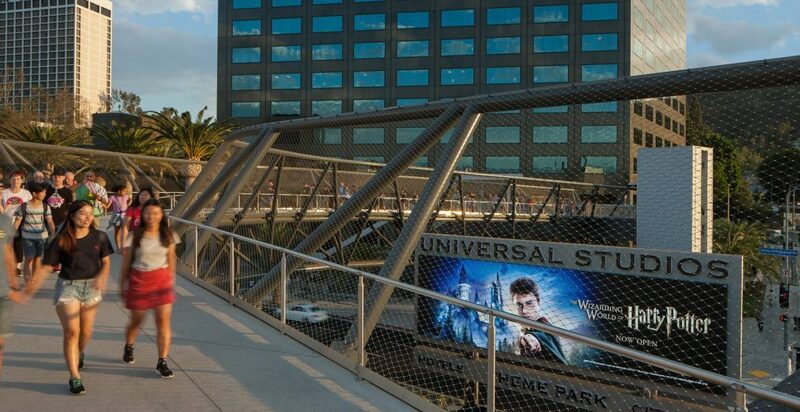 The Design-Build project opened in time for the highly anticipated The Wizarding World of Harry Potter attraction.